Philly-based band The War on Drugs are playing three shows in town to benefit Philadelphia schools. Philly-grown band The War on Drugs will get some extra help when returing home next month, teaming up with Hop Along frontwoman Frances Quinaln for a show benefitting Philadelphia schools. 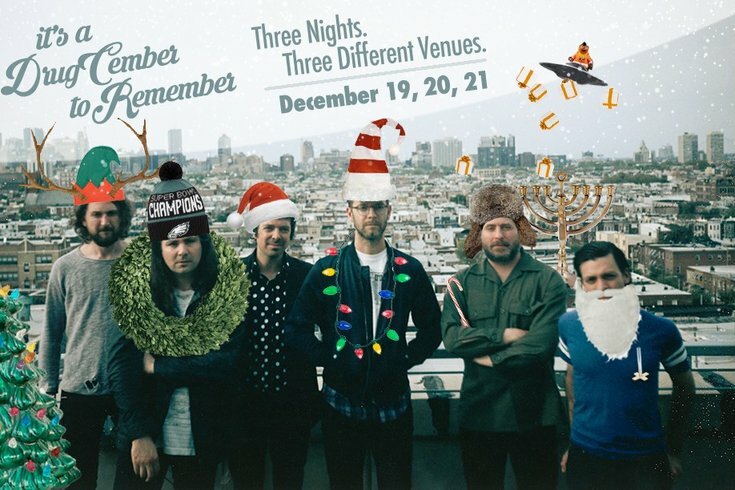 The band is kicking off its "Drug-Cember to Remember" benefit shows next month, which will include three hometown shows from Wednesday, Dec. 19 through Friday, Dec. 21. Wednesday night the band will play at Johnny Brenda's; Thursday War on Drugs moves to Union Transfer. For the third and final show, the band will welcome Quinaln, another local favorite, as the band's opener when they headline the Tower Theater. She'll be performing the gig solo. A dollar from every ticket sold will benefit The Fund for the School District of Philadelphia. The total donation will then be matched by three local organizations. More ticketing information is available here.